France 3 Côte d'Azur ‏/ @F3cotedazur / Twitter The student asked President Macron: “Do you think that we can buy a new planet with money?" Mr Macron was present at the audience of 400 people in Gréoux-les-Bains (Alpes-de-Haute-Provence, Provence-Alpes-Côte d'Azur), on Thursday March 7. The theme of the event was the environment and the “ecological transition” - a topic that has not been the subject of a major discussion during the Grand Débat thus far. His question was applauded by the crowd, which included several hundred young people, local mayors, farmers, and association leaders from the local Verdon region. 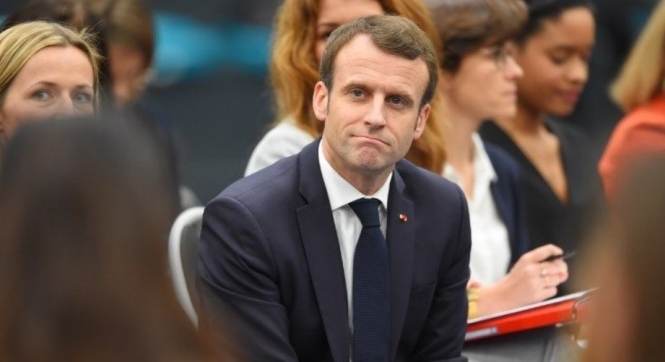 Mr Macron - whose banker background often sees him accused of being “the president of the rich” - said that the ecological transition was aiming to make the move “from one model to another”. The President said: “Our challenge is to [make the move] as quickly as possible. I believe that we can do it quicker, better, further, by giving more power to local authorities and changing our methods.